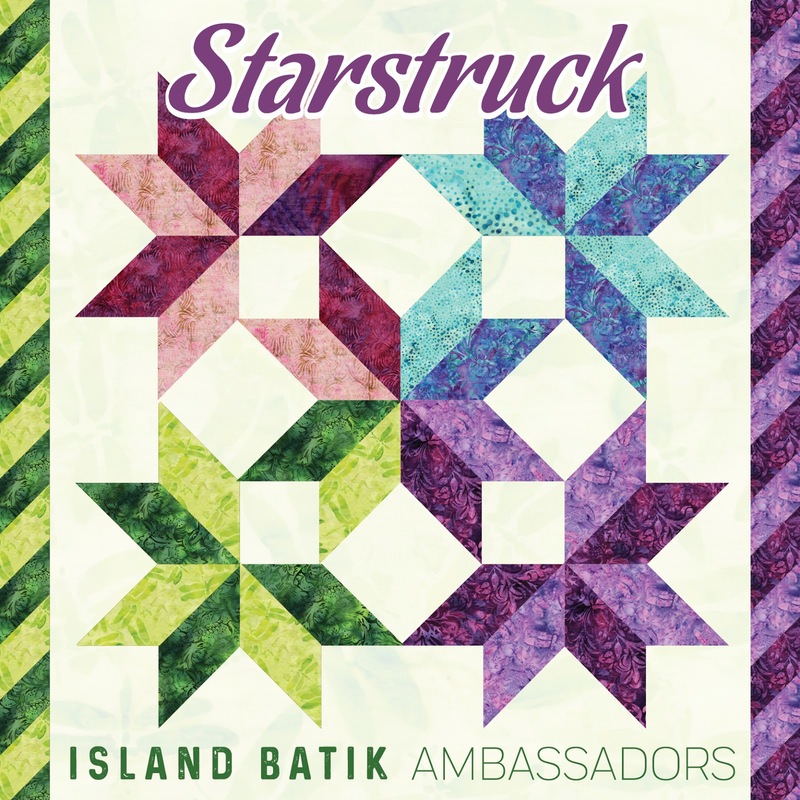 Welcome to September's Island Batik Ambassador challenge: Starstruck. For this challenge I chose my Star Light Star Bright Sampler pattern and used Paisley Dot collection that I was given as part of the Ambassador program as well as their basic black. 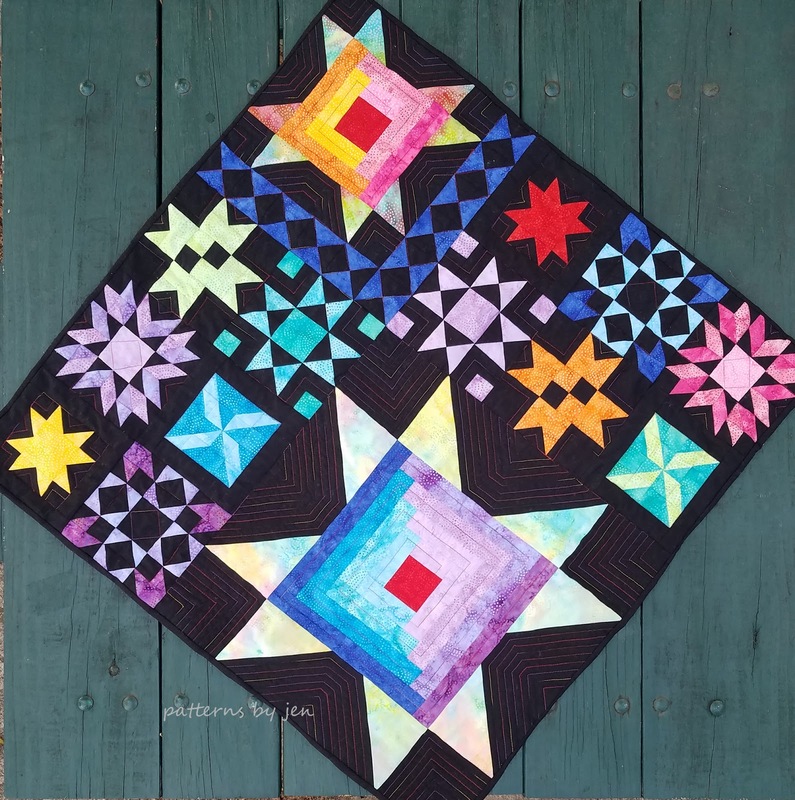 I chose to make one log cabin star with warm colors and one with cool. Using black as my background really brought out how bright and beautiful the Paisley Dot collection truly is. 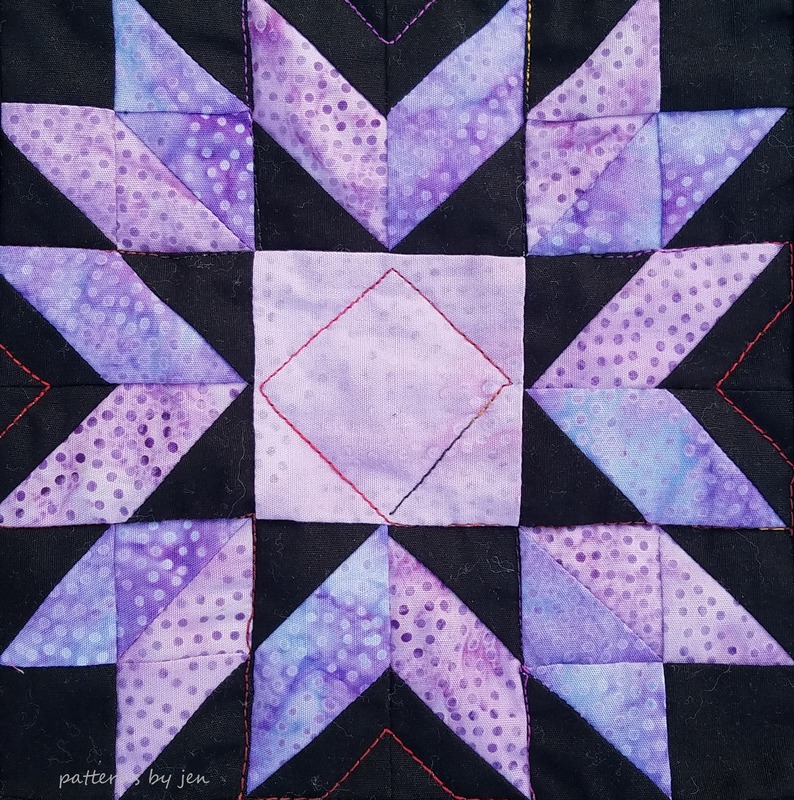 I used a variegated thread for quilting. This is the 30" square option, but the pattern has multiple options including a 60" sampler, the large log cabin star wall hanging, miniature log cabin star and a table runner. 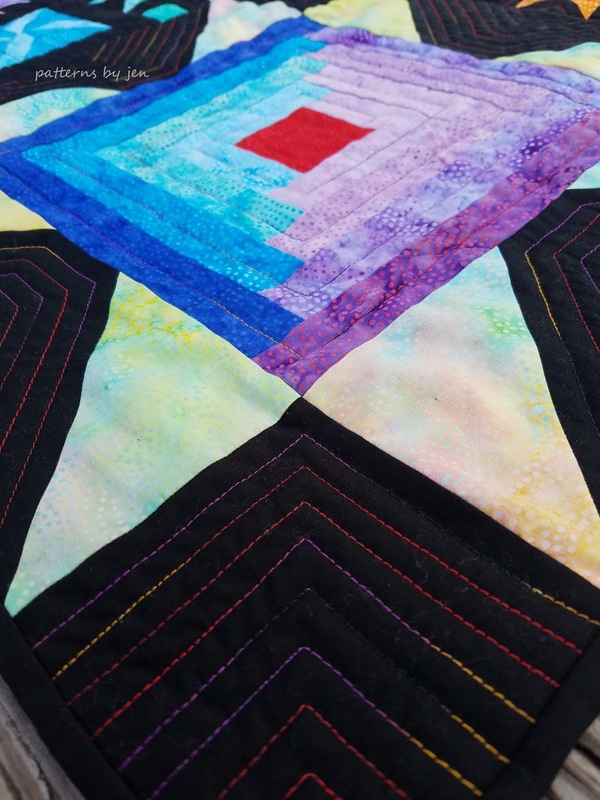 All the quilting was done on my Husqvarna Lily 555 with a walking foot. looks great and that variegated thread really looks awesome one it! 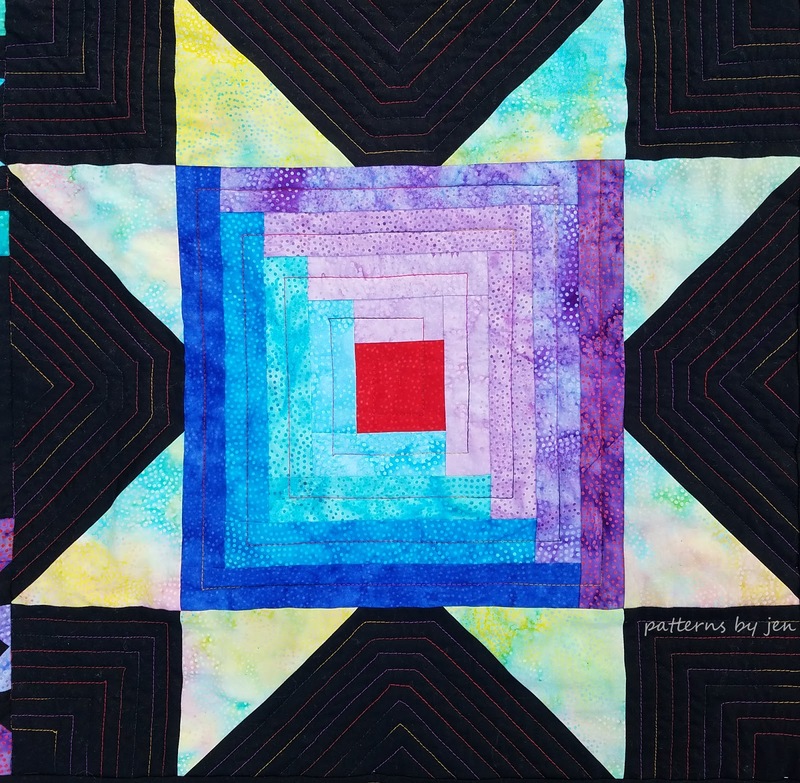 Love your quilting choice. Beautiful version of your sampler. 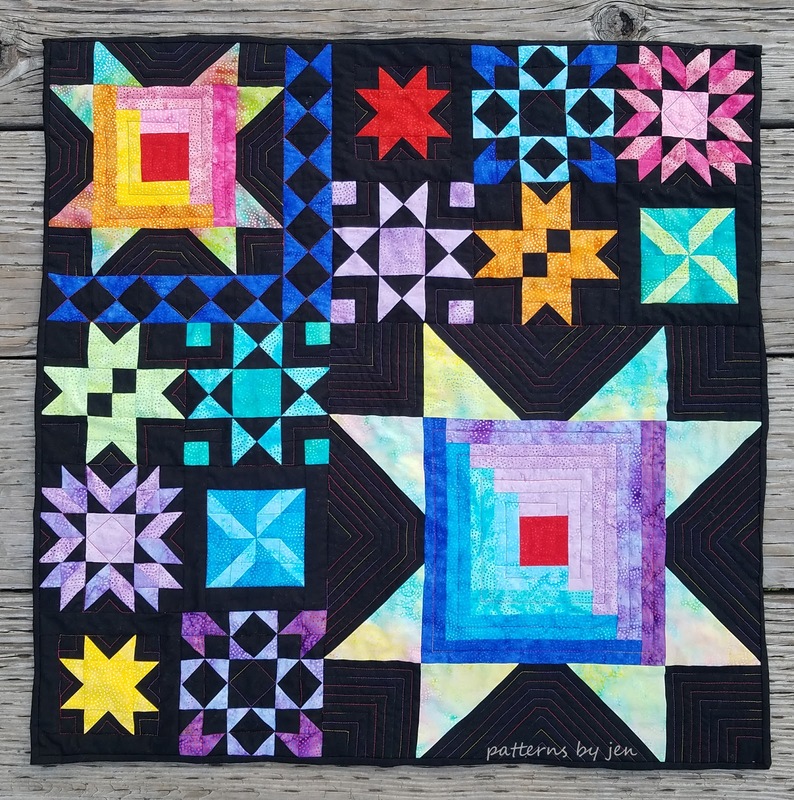 The sampler is just gorgeous and the blocks are so much fun. 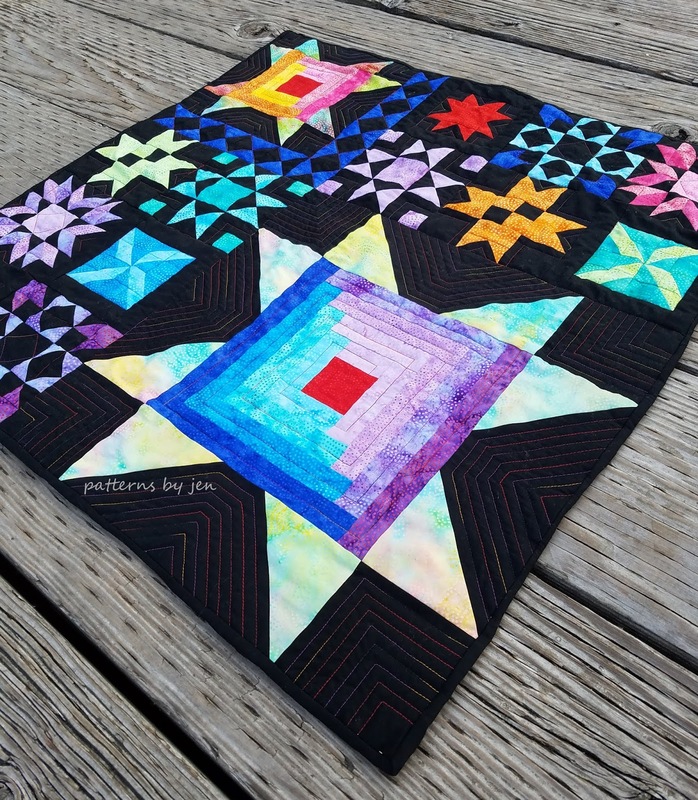 I love using variegated thread and the effects it has on a quilt.